Searching homes for sale in Puntarenas, Costa Rica has never been more convenient. 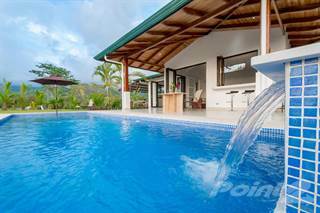 With Point2 Homes, you can easily browse through Puntarenas, Costa Rica single family homes for sale, townhomes, condos and commercial properties, and quickly get a general perspective on the real estate market. Point2 Homes gives you far more than a simple list of houses for sale. Get instant access to loads of relevant information about Puntarenas, Costa Rica real estate, including property descriptions, virtual tours, maps and photos. If you like a house for sale and you want to speak with a professional, simply contact the listing agent right from page of listing details. Or if you want to talk to an agent before anything else gets done, you can click the Tools tab and Find an Agent – you get a list of real estate agents in Puntarenas, Costa Rica, all ready to give you top-notch professional advice on house prices and more detailed information about your target area. 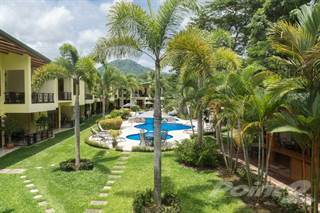 Use the map view to find homes and apartments for sale based on amenities and features in Puntarenas, Costa Rica that you may want close by. You can select your preferred area or neighbourhood by using the radius or polygon tools in the map menu. Filter among the 3,683 listings in Puntarenas, Costa Rica, based on real estate price drops in the past six months, so you’ll never miss a bargain. Get new listings in your inbox, daily or every week, based on your preferences, by simply saving your searches. All it takes is two clicks. Encompassing a long stretch of land on the western side of Costa Rica is Puntarenas, also known as Punta Arenas. This coastal city is the capital of the province of Puntarenas, and across the Gulf of Nicoya lies the western end of the province. There are approximately 34,000 people living within the 13.26 square miles of the city and over 410,000 in the entire Puntarenas province. As the closest coastal city to San Jose, Puntarenas enjoys being a tourist destination for Costa Ricans looking to spend time along the pristine beaches on the Pacific Coast. Although Puntarenas is not a major tourist destination, it is not uncommon for folks to use this town as a jumping off point to other locations or as an excursion stop for cruise ships. There are a few colleges and universities located in the city of Puntarenas including Castro Carazo University, the University of Costa Rica and the Universidad Técnica Nacional. The culture of Puntarenas is a little laid back due to its tourism vibe. Although slower during the week, when the Costa Ricans make their weekend getaway or tourists arrive for a vacation, the oceanfront promenade and markets become livelier. The population of this area was made up originally of descendants from Indians and colonial-era slaves and it features prominent Hispanic cultures and languages. 90% of Costa Rica’s residents identify as either Catholic or Evangelical Christian making religion an important aspect of daily life in Puntarenas. Although first discovered in 1522, Puntarenas did not see any considerable development for over 300 years. Coffee was the main export in the mid-1800’s with the stretch of land being used as a port. A railway, built in 1910, allowed for access to the Central Valley promoting more economic vibrancy. You’ll find the Puntarenas Fish Market, Puntarenas Cultural Amphitheater, as well as the Our Lady of Mount Carmel Cathedral – a Roman Catholic church built in 1902. Puntarenas stretches out into the Gulf of Nicoya and is subjected to warmer temperatures than the inland areas of Costa Rica. Average highs throughout most of the year stretch into the low-90s. Even the cooler months of September through December have average highs around 89 degrees. Average low temperatures during the year dip into the low-to-mid 70s. September and October are the wettest months of the year with one-third of the annual rainfall occurring during these two months. Total average annual rainfall is 62 inches. Real estate and rental prices are generally affordable when compared to other parts of Costa Rica. While development continues throughout the Puntarenas province, the region is more expensive than other resort and coastal destinations like Cancun, Mexico. While not nearly as famous as other coastal regions, there is a lot of possibility and opportunity in Puntarenas. Its proximity to other cities and year-round warm weather makes it ideal for both tourists and snowbirds alike. There are many great attractions in Puntarenas. The Parque Marino del Pacifico is a family-friendly aquarium featuring various types of marine life from the Pacific Ocean. The Museo Histórico Marino presents the history of Puntarenas through photos, artifacts and presentations. There is also the Casa de la Cultura, known for its cultural events and outdoor spaces. Puntarenas and the surrounding area hosts some of the best festivals in Costa Rica. In fact, the Puntarenas Carnival is considered one of the most exciting in the world. Dia de la Virgen del Mar is a colorful celebration featuring festivities, parades, concerts and more on the Gulf of Nicoya. Playa Puntarenas is the main beach in the town and is a great place to spend time on the water. Shops and cafes are nearby making sure one has all one needs for a day at the beach. Playa Dona Ana is another beach near Puntarenas and is known for its strong surf, making it more enticing to surfers and thrill seekers. Because of the way Puntarenas is laid out, almost every bar has a view of the beach. Some of the most popular bars and nightclubs are Las Chicas del Can Bar, Encuentro Piano Bar and Mar del Plata Kiosk. Capitán Moreno’s is on the southern end of Puntarenas and is known for its huge dance floor. The main sport in Puntarenas is football with the professional club being the Puntarenas Fútbol Club S.A.D. - founded in 2004. Playing at the Estadio Municipal de Puntarenas Miguel Ángel "Lito" Pérez Treacy, also known more simply as “Olla Mágica,” this stadium boasts a 4,105-seat capacity and is considered a multi-use stadium, although it is mostly used for soccer. Located just 10 kilometers east of the heart of Puntarenas is the village of Chacarita. While it is mostly known as a small fishing village, this charming destination offers great views of the waters, modern resorts and easy access to other nearby cities. A Costa Rican National Park and designated World Heritage Site, Cocos Island is filled with fascinating flora and fauna. There is marine life to explore including over 90 bird species and various mammal species such as pigs, deer and goats. The only residents are a handful of park rangers managing operations. Tourists are welcomed but camping, overnight stays and collecting is prohibited. Monteverde’s rolling green hills are majestic and considered a popular spot for eco-tourists. It is located at the northern tip of the Puntarenas province and 60 kilometers north of the city of Puntarenas. One of the most popular destinations is the Monteverde Cloud Forest Biological Reserve. Agriculture is a major economic sector in Monteverde; however, the tourism industry continues to grow, welcoming over 250,000 visitors annually. Puntarenas is a nice tourist destination and is increasingly becoming a place where baby boomers are retiring. The tropical weather, sandy beaches and Pacific waters make Puntarenas, like so much of Costa Rica, an attractive and ideal place to call home. The CEO of Century 21 Real Estate was quoted as saying Costa Rica is the top destination for second homes! Housing options are quite affordable in Puntarenas. Compared to other major cities such as San Jose, the capital of Costa Rica, rental is a little less expensive in Puntarenas whereas real estate is nearly 20% cheaper. When compared to other coastal tourist hotspots like Cancun, real estate and rental is much higher in Puntarenas, in some cases more than twice as expensive. The housing market is considered fairly good in Puntarenas and throughout Costa Rica. Development continues in Puntarenas with increases in tourist resorts and developments. The Ocean Mall is just one of many projects to help build infrastructure and entice investment to the region. Foreigners, especially from the United States, have been moving to Costa Rica. It was estimated that over 16,000 Americans maintain legal residency in Costa Rica whereas over 100,000 reside in the country, although they are not Costa Rican citizens – these include retirees with second homes or vacation properties. 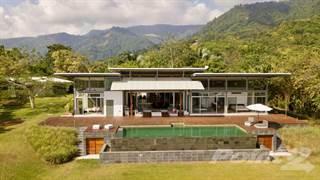 Costa Rica is considered very transparent and friendly when it comes to real estate purchases. Unlike some other countries that have restrictions regarding foreigners buying property, Costa Rica does not have those constraints. There are a number of colleges located in the city of Puntarenas. Castro Carazo University is a private college offering a variety of degree programs from business administration and accounting to tourism management and education. The Universidad de Costa Rica has a campus in Puntarenas – Sede del Pacifico. Along with a variety of undergraduate degrees, this public university offers postgraduate degrees in hotel management, education, public health and more. Public schools in Costa Rica are managed under the Ministry of Public Education and attendance is obligatory from preschool to high school. Under Costa Rica’s constitution, universal public education is a guarantee. Private schools are often bilingual to accommodate students who speak English, German and other languages.